If this sounds familiar, you’re probably thinking of the recent rash of rat lungworm infections in Hawaii. Previously, over the past 20 years, only two cases of the disease, known as an Angiostrongylus Infection, had been documented in the Pacific island state. But in the past several months, six cases were reported in rapid succession. 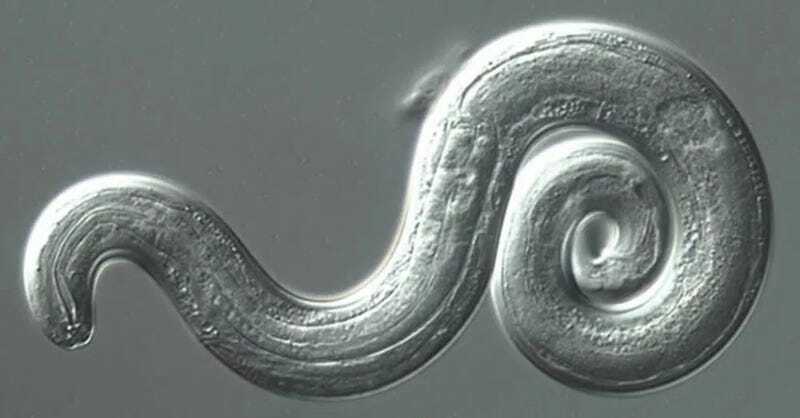 The parasitic worm, which spreads through an unholy alliance between snails and rats, it endemic to Hawaii, but has also been detected in California, Alabama, Louisiana and Florida. And as as a new study published in PLOS One reveals, the disease’s geographic extent in Florida is far greater than assumed. The new research is adding credence to the idea that climate change might be playing a role in the subtropical worm’s range expansion. Rat lungworm poses a serious health risk to humans and other animals who ingest snails. Fatality rates for the disease are low, but the parasite can cause a form of meningitis, and severe infections can lead to a coma or death. In adults, signs of infection include headaches, stiff neck, fever, vomiting, nausea, and paralysis of the face and limbs. Infected children exhibit nausea, vomiting and fever. According to the US Centers for Disease Control, there is no treatment for an A. cantonensis infection. This malicious worm is dependent on two species for its lifecycle. Snails ingest the parasite by eating infected rat feces. In turn, rats eat the infected snails, and the cycle of despair continues. Humans contract the disease by consuming infected snails—either accidentally or deliberately—or by eating infected frogs or crustaceans, which can also contract the parasite. The joint project between the University of Florida’s UF College of Veterinary Medicine and the Florida Museum of Natural History discovered traces of rat lungworm in five of the 18 counties studied, Alachua, Leon, St. Johns, Orange, and Hillsborough. Of the 171 rats tested, 23 percent were infected with the disease. In the counties where the parasite was found, around 16 percent of collected rats feces showed traces of the disease, and nearly two percent of land snails tested positive. The new study reveals the alarming degree to which the parasite has now spread in the state of Florida, and discusses how climate change may be contributing to its expanded geographic range. Snails are infamously slow creatures, but they can spread by slinking their way onto cargo containers and potted plants. Troublingly, rat lungworm doesn’t discriminate when it comes to different species of snails. In this case, the parasite was found in three distinct snail species, all of which are native to Florida. The Florida scientists say more than 2,800 cases of human infections have been documented worldwide, but the actual number is likely higher because the disease is often undetected or misdiagnosed. To reduce risk, they advise washing produce as snails are small and they can easily hide in lettuce leaves. Anyone who handles snails—curious kids especially—should wash their hands. Another way to limit the spread of this disease, as this study suggests, is to put the brakes on global warming. Given the current state of affairs in Washington, it’s probably more practical to steer clear of snails and keep washing our hands.